First we had central government mistaking Newcastle-Under-Lyme for Newcastle-Upon-Tyne, now Birmingham City Council has gone one better and failed to recognise their own city. But hang on a second, where’s the Rotunda? The BT tower? Or Selfridges for that matter? Where’s the Beetham Tower, visible for miles? This city doesn’t look like Birmingham at all. It doesn’t even look British! 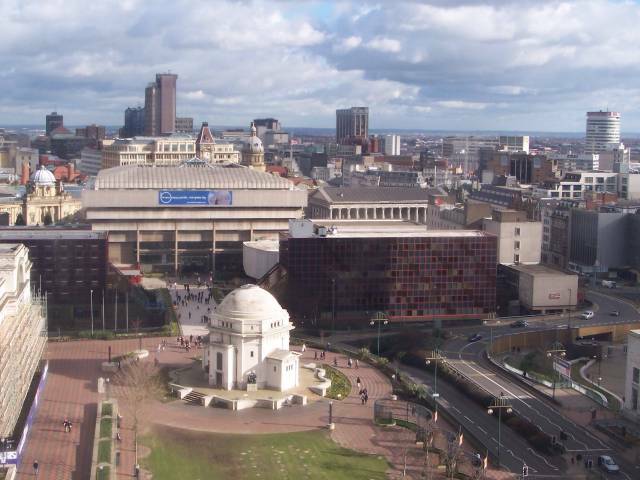 That’s because it’s not British, or even European, but it is Birmingham. Birmingham, Alabama, USA. That’s correct, after printing no less than 720,000 recycling leaflets for the whole of the city, it took a local resident from Kings Norton to point out the obvious: that some lackadaisical staff member at BCC had clearly had one eye on the clock as they Googled for an image of Birmingham, and from that point on, right until the proof of the leaflet was okay-d with the printer, no-one at the city council happened to notice that they were promoting a green agenda for a city 4,000 miles away. So just how could the press office turn this one around? What gem could the anonymous spokesman offer to help us realise that the mistake is ours, not theirs? “There’s no point tinkering with it…it’s a generic skyline picture. The picture on the leaflet is meant to symbolically represent an urban area”. 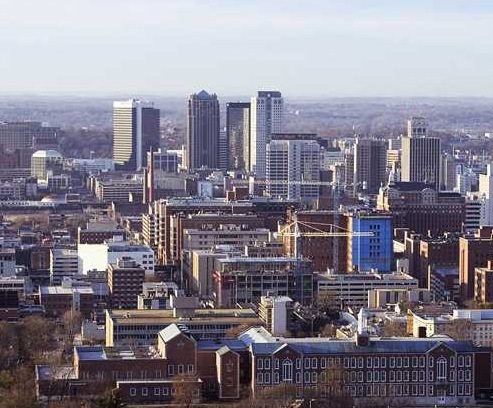 So Birmingham, Alabama is meant to symbolically represent an urban area like Birmingham in the UK? Hmmm. That’s what we pay their salaries for folks! We’re assured these things aren’t going to be recalled and pulped, so at least this ineptitude isn’t going to cost us all extra, but nevertheless, it really does speak volumes of the attention to detail and level of service provided by this local authority.